Chippendale Period (1750-1785) pieces feature large, heavy brasses, often with Asain influence. 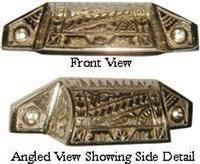 The escutcheons and the heavy back-plates were generally of the same size and design. 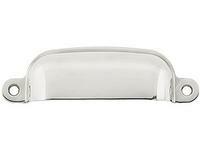 The willow handle was the most popular design of the period. 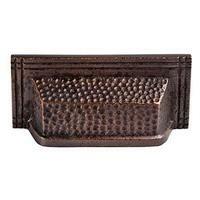 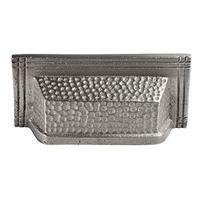 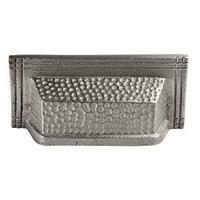 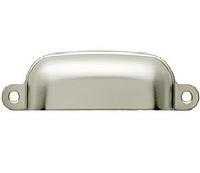 Brushed Nickel Furniture Pull - 3-3/4"
Cast Iron Bin Pull 2" x 4"